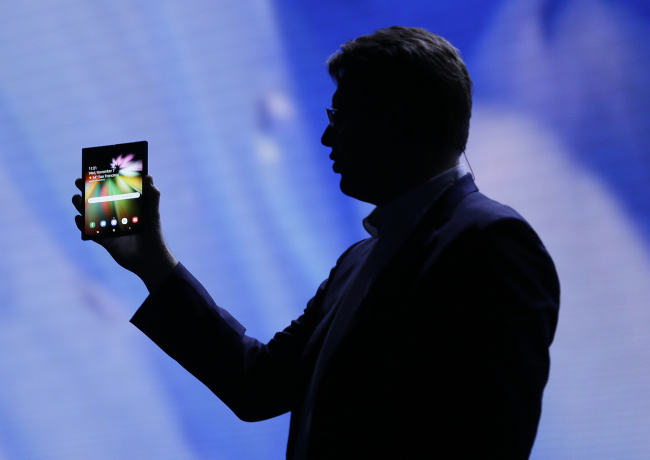 Samsung Electronics on Thursday revealed technological details of its first foldable display for next-generation smartphones at a conference in San Francisco for technology developers from around the world. 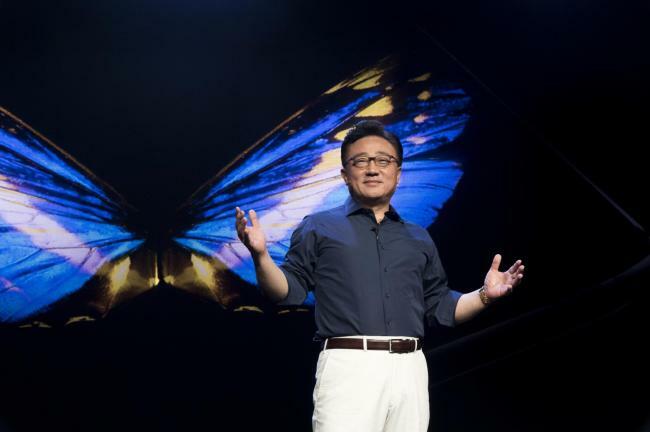 The South Korean tech titan unveiled a prototype of a foldable smartphone featuring the Infinity Flex Display during the two-day Samsung Developer Conference. When it is unfolded, the as-of-yet-unnamed smartphone is 7.3 inches, and 4.58 inches when folded in half. The prototype looked as if two smartphones were attached using in-folding technology. While the cover display has a screen ratio of 21:9, the main display has a 4.2:3 ratio, the company said. When folded in half, the next-generation smartphone would be smaller than existing 6-inch phones, it added. Samsung called the Infinity Flex Display “a breakthrough foldable smartphone form factor,” introducing the new display together with a new intuitive interface design called One UI that is aimed at allowing the user to better focus and quickly navigate the phone whether it is folded or unfolded. In the development of foldable smartphones, the seamless transition of application experience from the smaller display to the larger main display is key, according to Samsung. Therefore, the tech mogul joined hands with Google and the Android developer community to start the development of foldable phone apps from the beginning, it said. To invite more app developers, Samsung and Google unveiled guidelines for app development on Wednesday, and are planning to announce the emulator within the fourth quarter. Samsung’s revelation of the foldable display and UX comes at a time of flagging smartphone sales. The company hopes to achieve a breakthrough and overcome stalled growth of the smartphone business. Its smartphone division achieved 2.22 trillion won ($1.99 billion) in third-quarter operating profit due to sluggish sales of flagship models, down about 33 percent from the previous quarter. However, Samsung did not comment on the schedule of the launch and the official name of the foldable phone.